Mahouts ride their elephants in a river swimming race during the Buon Don elephant festival. 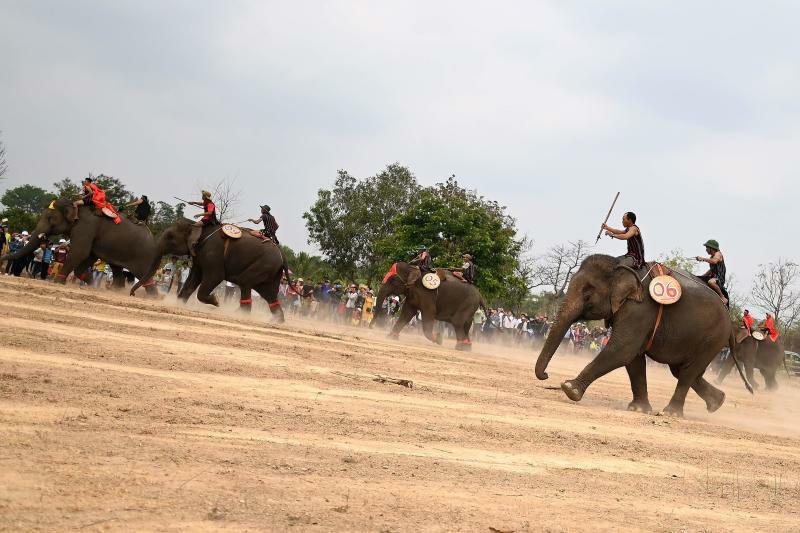 Normally held every two years, the Buon Don elephant festival, a major tourist event, features football matches, swimming sessions, a parade and a buffet for the animals, topped off with a highly anticipated race on the event's final two days. It appears to have worked: he rode his elephant Kham Sinh to victory, beating out 10 others for the top prize of $130 (S$176). She was happy to see fewer elephants take part in this year's festivities - just 14 from dozens in years past - but hopes authorities adopt a more ethical approach to animal tourism in the future.